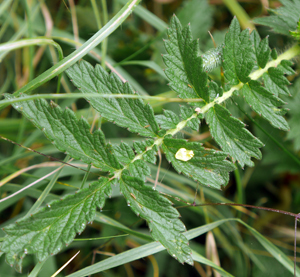 The leaf may have three to six pairs of leaflets and a terminal leaflet (see adjacent photo), and the margins are bluntly toothed. They are hairy, more so on the underside. 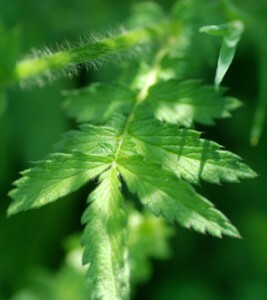 When crushed, the leaves are mildly fragrant. 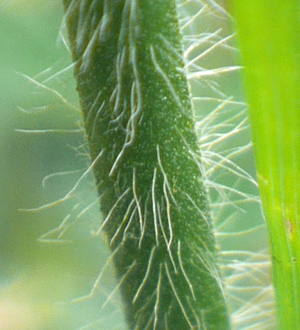 The stems can also be quite hairy (see photo). The flowers are born on tall and slender stems that are leafless. 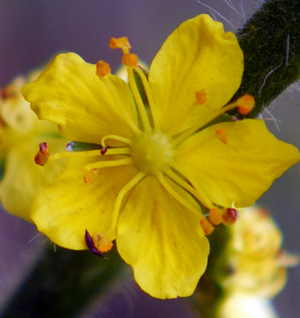 The flowers are between 5 and 8 mm across, with 5 petals and 5 sepals. The fruit, when formed, has bristles. 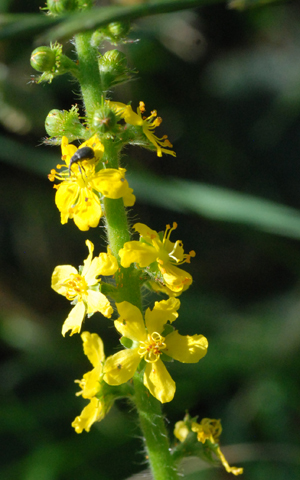 Agrimony is a perennial that is found in rough grassland, hedgerows and woodland rides. It 'likes' neutral, or basic / chalky soils.